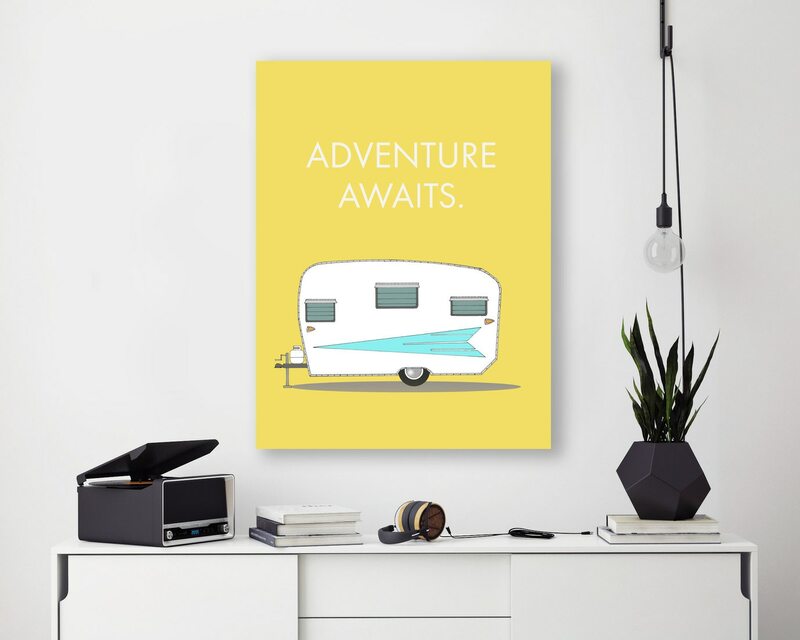 Our prints are now available as beautiful canvas wall art. 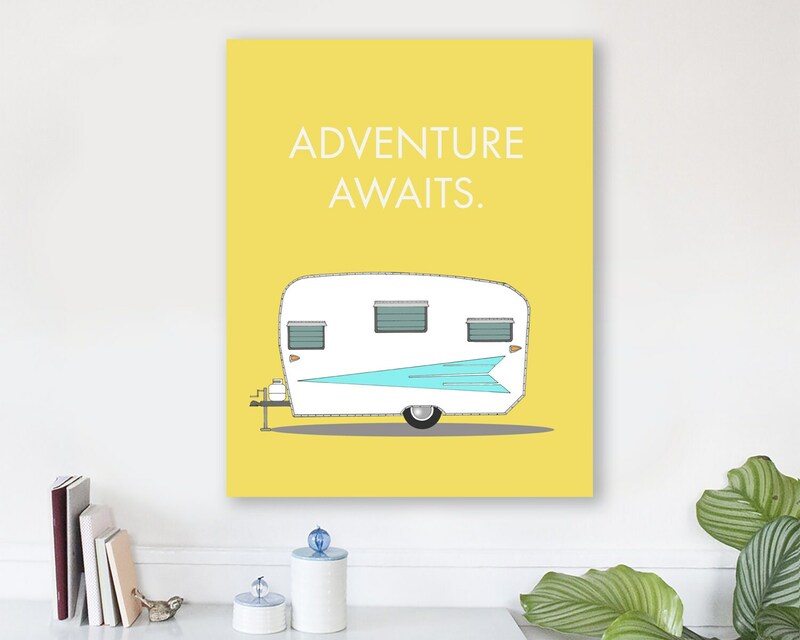 This is our retro camper series, featuring the vintage Roadrunner camper, with the quote above reading, "Adventure Awaits," to inspire the adventurers in all of us. This print was carefully drawn by hand in pen and ink in my sketchbook, then colored digitally for rich colors and crisp details. Perfect for grown-ups or for wall art in a modern nursery. Our designs are bright and colorful and created with we hope they bring joy and happy energy into your home. 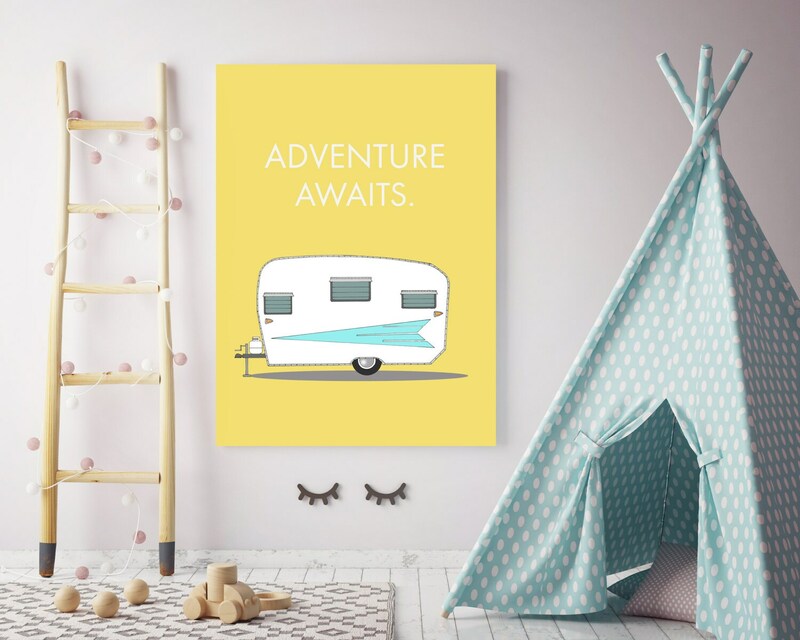 ★ Our classic gallery wrap canvas prints look great unframed, with clean staple-free edges. 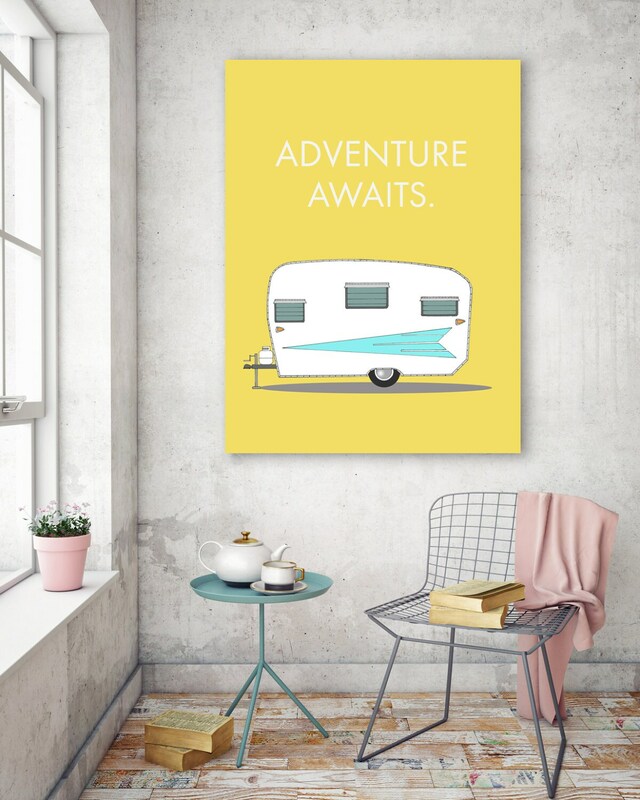 ★ Each canvas comes stretched on 100% New Zealand pine, ready to hang when it arrives. ★ The edges are 1.5" deep, and the wood frame is sturdy and eco-friendly. 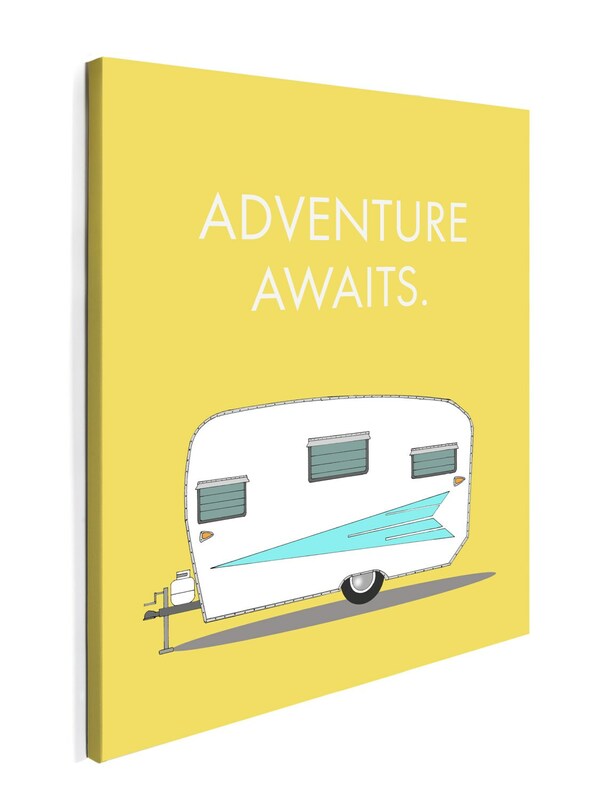 ★ Printed on fine quality 340gsm poly-cotton canvas. ★ Edges are color-coordinated with the front design. ★ Finished with a satin protective coating for a clean gallery finish. International customers - we are happy to ship overseas. Please contact us with your address so that we can get you an accurate shipping quote before ordering.